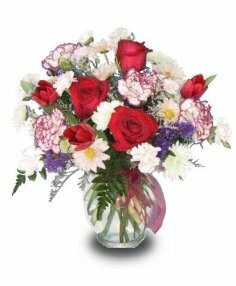 Ladybug Floral & Finds is a full-service florist that takes pride in delivering professional service and the highest quality floral and gift items for all occasions! Our shop is conveniently located on North Center Street in Elkins, Arkansas and open to serve your all floral and gift giving needs: Monday through Saturday 9 am to 6 pm. For your convenience, we provide daily delivery service to all funeral homes and hospitals in the area. Our friendly staff is ready to assist you with placing orders for local delivery or anywhere in the world. Not sure what to send? Let us offer some creative suggestions. 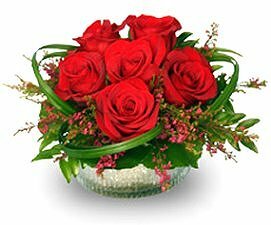 Wedding Flowers & Special Event Flowers ~ Whether you prefer something time-honored and traditional or contemporary and modern, we design with a bride’s individual style and budget in mind. Let our experienced floral consultants help you plan a truly magical event with gorgeous, unforgettable flowers from Ladybug Floral & Finds! All Occasion Gifts ~ We have a vast array of gift choices for all ages and occasions! Browse our assortment of dish gardens and green and blooming plants for a gift that brings life to any room or office. We also offer plush animals, the Leaning Tree line of greeting cards, candy bouquets, snack food baskets, fresh fruit baskets, baby gift baskets and more! You’ll find a variety of antiques, soy-based candles, goats milk luxury body lotions & soaps and distinctive, handmade grapevine baskets & wreaths, too! Ladybug Floral & Finds is more than just your average flower shop! Thank You for Visiting Our Website. Convenient and Secure Online Ordering Available Anytime, Day or Night!